Rejuvenate Your Health with Nitric Oxide is only available to members of Steven Horne's Member program. 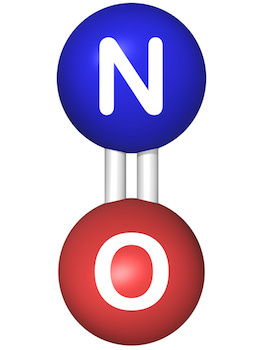 Nitric oxide (NO) is a simple molecule composed of one atom of nitrogen and one atom of oxygen. It is highly reactive and only lasts a few seconds in the body after it is created, but it plays a critical role in overall health because of its ability to enhance blood flow. In 1998, the Nobel Peace Prize for Physiology or Medicine was awarded to three researchers for their discoveries concerning nitric oxide as a signaling molecule in the cardiovascular system. These researchers found that the lining of the blood vessels produces NO in order to dilate blood vessels. Since that time researchers have found numerous health benefits from enhancing NO production in the body. For starters, declining levels of NO may be the cause of essential hypertension (high blood pressure from unknown causes), something which plagues millions of people. Reduced blood from a lack of NO is also one of the causes of erectile dysfunction in men. In fact, Viagra and other similar drugs work by increase NO levels. Increased NO can improve athletic performance by helping more blood (and oxygen) get to the muscles. It can also help reduce muscle soreness after exercise. Increased NO levels have also been shown to increase cells sensitivity to insulin, making them helpful for people with diabetes. There is also evidence that higher levels of NO can reduce joint pain, improve bone density, and aid memory and brain function. Join us for this month’s Herbal Hour where we’ll tell you all about the amazing benefits of NO and how to find out if your NO levels are low. We’ll also tell you how you can enhance your NO levels naturally with diet and supplements. You’ll learn why some people are calling NO the miracle molecule.